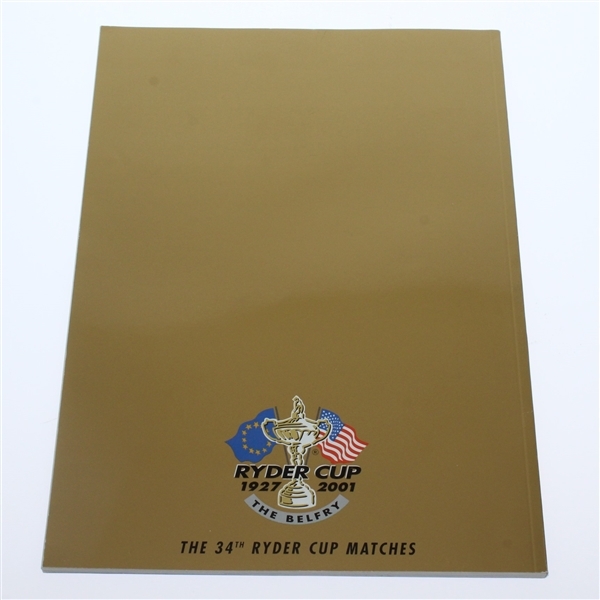 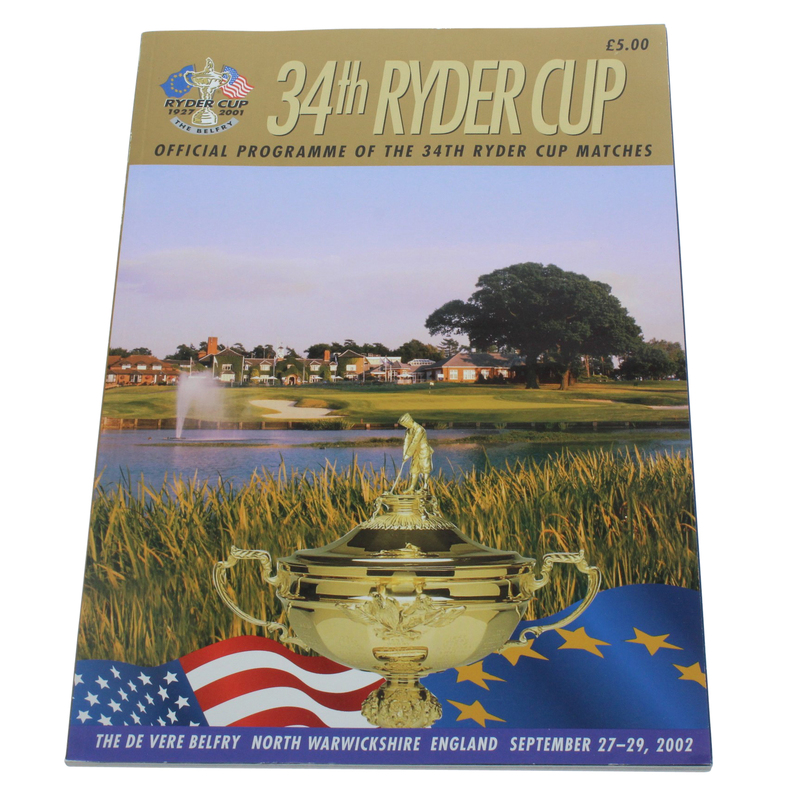 The Ryder Cup was originally scheduled to be played from September 28-30, 2001, but was postponed one year due to the September 11th tragedy. 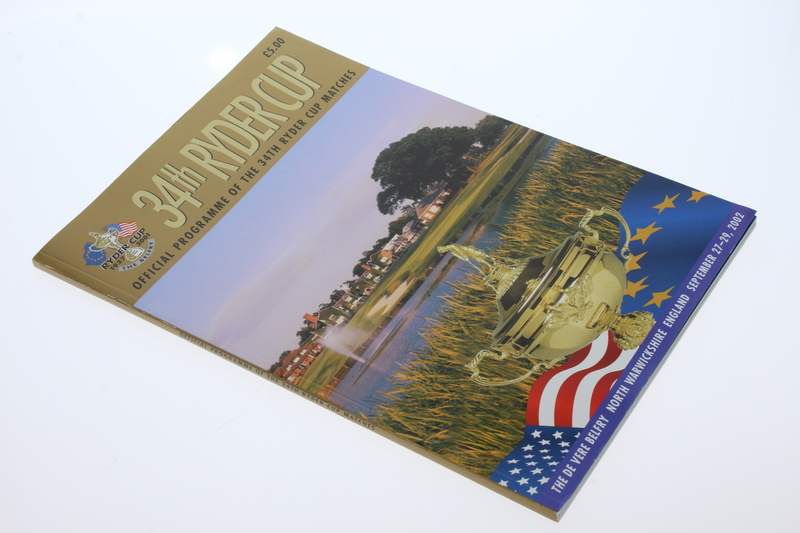 The European team defeated the Americans 15 1/2 to 12 1/2 at the Belfry in England. 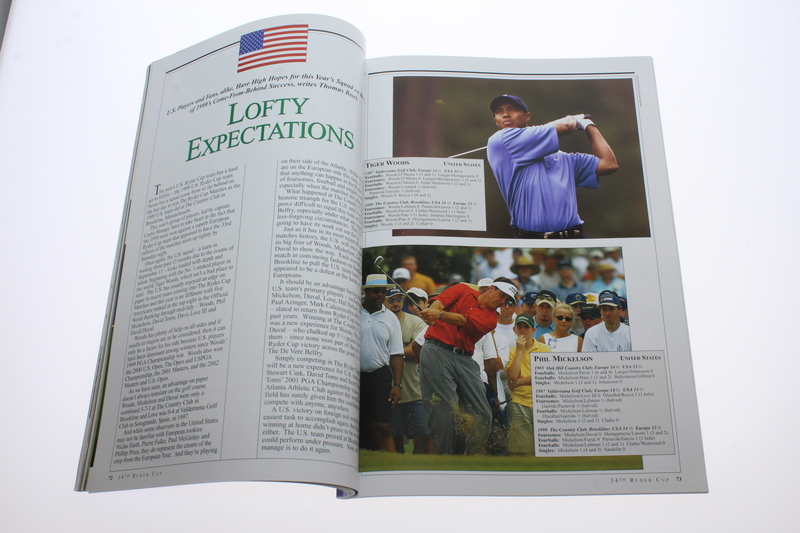 David Toms lead the scoring for the American team with 3 1/2 points and a 3-1-1 record. 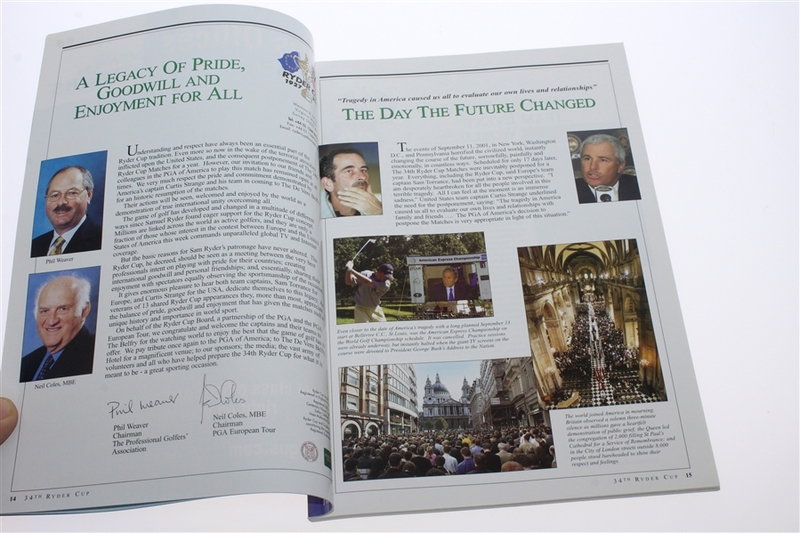 The program ofered here comes in ex-mt condition.